Jeff Koons Kiepenkerl sculpture washington dc Kiepenkerl Sculpture by Jeff Koons. Kiepenkerl is a modern sculpture by Jeff Koons. It is constructed of polished cast stainless steel. It refers to the traveling peddlers statue in Münster, Germany. This Sculpture is right accross the Hirshhorn Museum and Sculpture Garden. 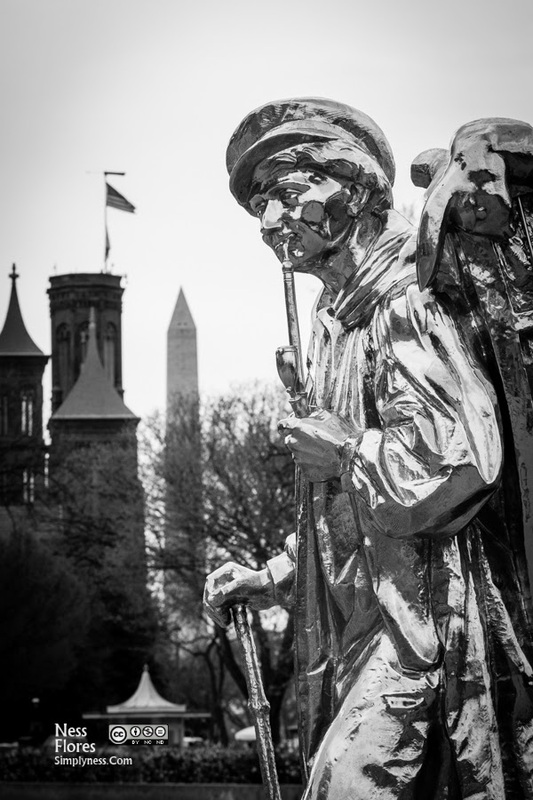 I shot this photo from the side while I was facing towards the Smithsonian Institute and the Washington Monument which can be seen in the background. I shot this photo using my Canon Rebel XS and the Sigma 70-300mm f/4-5.6 DG APO Macro Telephoto.